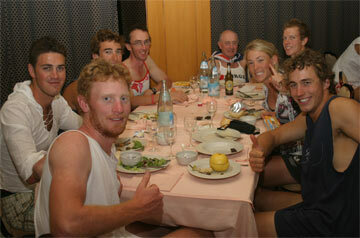 This was the third Under 23 World Championships and the standard continued to rise. It is clear that all nations are taking this competition very seriously. There was a good spread of representation from the various States for the team which is an encouraging result. Where there was concentration of rowers from the one State, it was because of dominance of a club or Clubs in that region. For example, Sydney University performed well in the men's under 23 sweep category at the National Championships and so was heavily represented in the men's eight. 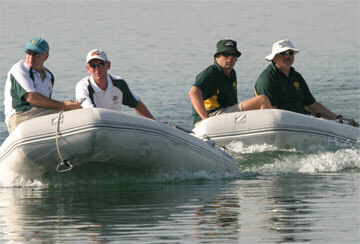 Six of the ten Australian crews made the A Finals and four of these crews medalled. It was a good performance. 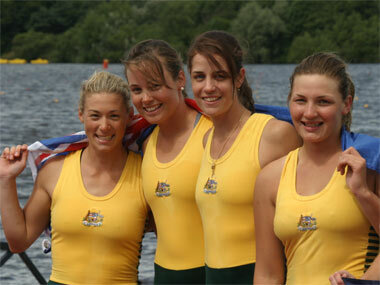 The Chairman of the High Performance Commission, Colin Smith recorded the following comments in the Rowing Australia annual report: The women's coxless four and women's quad scull received silver medals for their efforts. The women's coxless four consisting of Elizabeth Alderman, megan Bagworth, Emily Rose and Sascha Lahey were involved in a fantastic sprint finish in the final with the Italians to earn their medal. 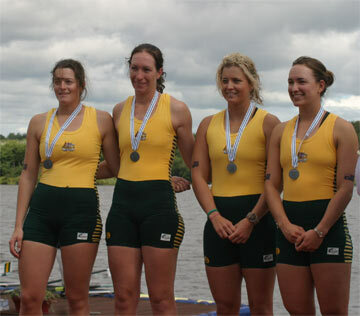 The women's quad scull consisting of Renee Kirby, Emma McCarthy, Charlotte Walters and Lisa Szatsnajder were narrowly beaten by the United States for their silver. 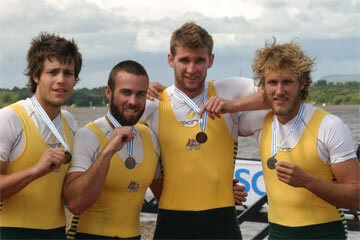 The men's quad scull and coxed eight both earned bronze medals from the competition. The men's quad scull of Steve Fletcher, Danjels Reedman, Sam Renton and Tom Swann crossed the line in third place behind a strong German crew. 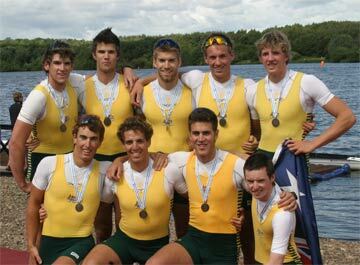 In the final race of the regatta the Australian men's eight (Terrence Alfred, Richard Allsop, Edward Boyce, Andrew Conolly, Mitchell Estens, James Goswell, Tom Larkins, John Linke and Toby Lister) displayed an exceptional level of composure in the last quarter of the race to hold on for bronze in a fast finishing field. The championships proved to be a great learning experience for all crews involved and coaches, athletes and managers should be pleased with their efforts. Not all was serious in training!